Glass cutting boards: safe or not? Since we were children we have always seen our mothers using wooden cutting boards, preferably stronger woods like cherry. Wooden cutting boards have been a norm in the kitchen for a very long time, but in the last few years, plastic cutting boards have been introduced. Plastic cutting boards were inevitable considering plastic is taking over, and we have seen a plastic version of almost all kitchen utensils and tools. Plastic cutting boards are being used in domestic kitchens, but they are more popularly used in commercial kitchens because they are more economical. Besides plastic and wooden cutting boards, we are now introduced to glass cutting boards, and these are quickly gaining a lot of popularity. But the question arises, are these safe? A classic is a classic, you really can’t go wrong with a wooden cutting board, just the rustic look of the wood itself is so inviting and vintage, it’s a must tool for your kitchen. But the looks aren’t the only good thing about a wooden cutting board, there’s a lot more. Both plastic and wooden cutting boards are quite strong and there is hardly any risk of them damaging your knife. The wood can get a little high maintenance, but if you take proper care of your wooden board and clean it like it’s meant to be cleaned, then you won’t have a ton of problems. Mostly glass trumps wood because of one main reason and that is that they are likely to get scratches whereas glass is immune to that. But Glass is also much simpler to clean, so also low maintenance. The scratches that are made by the knife get worse when they come in contact with water, and that is every time you wash your wooden or plastic cutting boards. This can be very unhygienic and can be harmful to your health. There are ways to avoid this, such as oil treatment which can really slow down the damage process. It will act as a thin layer between the wood and the water and make sure the bacterium doesn’t reside in the little cracks, making the wooden board way safer. Glass boards are a much more recent concept, and they have gained a lot of popularity in a very short period of time. There must be a number of advantages and benefits that glass cutting boards have, and that is what makes them a popular item in the market. So the first and most obvious advantage is that you get a more hygienic way of cutting and doing things. Wooden cutting boards tend to have a porous surface, and so whatever you put on it, the residue is left behind. It doesn’t matter how carefully you clean the board afterward because the bacteria resides inside the crevices and porous surface of the wood. Professional chefs are always instructing people to avoid using the same cutting board for meat and vegetables and fruits, the reason is pretty much the same. The bacteria from your raw meat could end up transferring into your fruit and leaving you in a dangerous position. Glass, on the other hand, does not have a porous surface at all, so when you clean it with dish washing soap, you do not have to worry about leaving behind any bacteria. For this reason, it would not be a health risk to use the glass cutting board for both raw meat and vegetables, just remember to clean it properly. Another thing that commonly happens to a wooden or a plastic cutting board is that they get easily damaged with knife scratches etc. With Glass cutting boards you have a tempered surface mostly that is not prone to scratches. You must be wondering how a glass board can be sturdy or strong enough, well you see glass boards have been treated for the thermal shock so they won’t exactly break with water treatment etc. Tempered glass is also less likely to break if it experiences a fall, but obviously, there is no guarantee about that. Although it is super easy to store thanks to how thin and sleek the glass board is. Glass cutting boards are sometimes so beautiful that they could pass for a decoration item in your living room. They are easy to carry and store because they are sleek and quite light in comparison to wooden cutting boards. You can always find a glass board that has a design which goes with the interior of your kitchen just to keep things stylish and chic. All these benefits of having a glass cutting board and yet, we sometimes still tend to lean towards a wooden board. Personally, I don’t mind a glass board for myself, I actually prefer it. But when there are pros there are always cons, so take a look at the cons before you decide your stance on glass boards. Well, there are several reasons why a wooden or plastic cutting board would trump a wooden cutting board, and the first and foremost would have to be the knife damage. There can only be two situations, either your knife damages your board or your board damages your knife. The wooden boards are good for the knives, but the knife damages it, the glass board, on the other hand, can be pretty damaging to your knife. 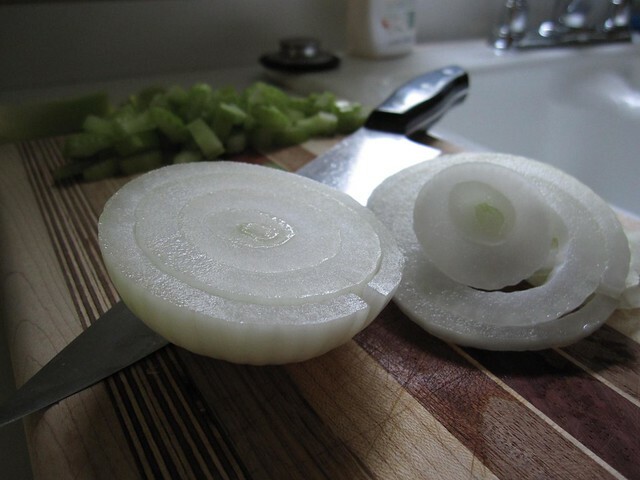 If you have a glass cutting board you will notice that you have been using your knife sharpeners more often. The glass surface tends to dull your knife’s blade when it comes into contact again and again because glass is a very hard surface. Glass boards are healthier for sure, but are they safe? Well not exactly, glass cutting boards will tend to leave you at risk in some situations. Glass is considered a slippery surface and it’s hard to keep your food in place when cutting on a glass board. If the food does slip, it could potentially hurt you as a sharp blade is involved. There are some glass cutting boards that have a textured surface with tiny grooves to provide friction and prevent the food from slipping. But if you go for a simple glass cutting, slipping could be an issue. Another thing you need to be careful about if purchasing a glass board is to make sure it has rubber feet. This is merely to avoid the board moving on your counter because the counter tops are usually marble or granite, both of which are also slippery surfaces. If the glass board moves around while you are cutting your veggies for a stir fry, you might end up cutting yourself instead. When you are using a wooden or plastic cutting board you will notice how the surface provides pressure which makes the knife’s job easier. With pressure from both sides, the knife will cut faster and better. With glass boards that are not the case. You will notice that because of all the extra work that your knife is putting in, they will become dull faster. Blunt or dull knives are no good, and you will find yourself sharpening your knives twice as often if you own a glass cutting board. Both glass and wooden or plastic boards have certain pros and cons and keeping in mind all those, we think that a traditional wooden board might still be the best choice. You can get a glass board depending on your kitchen needs, but in order to avoid accidents where you might cut yourself, and to save your knives, avoid the glass and go for the wood. But don’t forget to follow proper instructions when cleaning your wooden and plastic cutting boards otherwise they can be quite harmful to your health.